Lenovo has been hanging out in the bottom end of the Android market ever since they gave up on the ThinkPad Tablet, but it looks like they're finally ready to ship some high-end hardware. 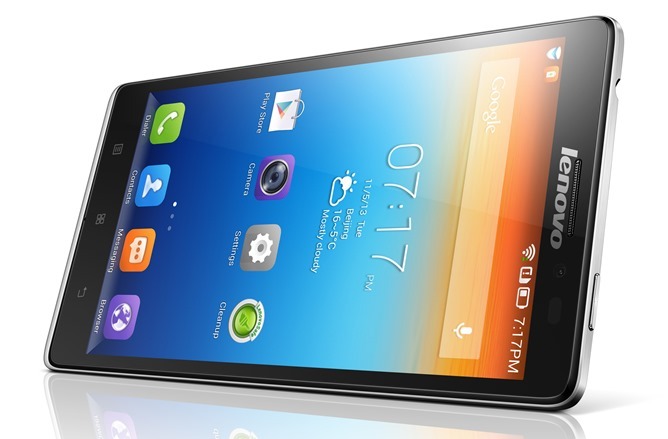 Enter the Lenovo Vibe Z, a 5.5-inch smartphone with an LTE radio - a first in the company's Android lineup. As usual, Lenovo doesn't seem interested in western markets for this phone. According to the press release, it will go on sale in February in Indonesia, Malaysia, Thailand, Saudi Arabia, the UAE, and the Philippines for $549. The Vibe Z is high-end compared to Lenovo's current phones, with a 1080p LCD screen, a Qualcomm Snapdragon 800 processor, 2GB of memory, "up to" 16GB of storage, and a 13MP rear camera with an impressive F1.8 lens. It's slim, too, at 7.9mm thin despite a 3000mAh battery. The software is a heavily-skinned version of Android 4.3, and though Lenovo didn't mention any official Google apps, the presence of the Google Play Store in the press render speaks for itself. The Qualcomm radio inside will let the Vibe Z operate on GSM and UMTS networks up to the 2100mhz band. The specs and looks of the phone are impressive, and I'd surely like to see this thing in person, but Lenovo still seems wary of the contentious phone markets in Europe and the Americas. Perhaps if the Vibe Z catches on with the growing LTE customer base in Asia and the Middle East, we'll see more phones on our shores. 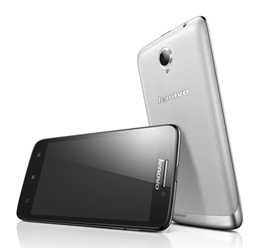 The company also announced three lower-end phones for Lenovo's primary Asian markets, the S930, S650, and A859. The S930 and S650 share similar 8.7mm frames, MediaTek 1.3Ghz quad-core processors, 1GB of RAM, 8GB of storage and a MicroSD card slot, an 8MP rear camera, Android 4.2, and dual SIM card slots. The S930 has a 6-inch 720p screen and will go for $319, while the S650 has a smaller 4.7-inch screen with a resolution of 960x540. It will cost just $229. The A859 is a cheaper variant of the same hardware, with a 5-inch 720p screen and a thicker 9.2mm body for $219. All three phones should be on sale now. 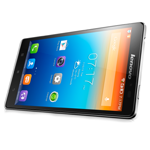 Update: Lenovo has posted an quick promotional video of the Vibe Z on YouTube. Enjoy. RESEARCH TRIANGLE PARK, NC – January 2, 2014: Lenovo(HKSE: 992) (ADR: LNVGY) today introduced its first LTE smartphone, the Lenovo Vibe Z,a gorgeous razor-thin, blazing-fast device equipped with gesture controls, photo enhancement software and other premium technologies. 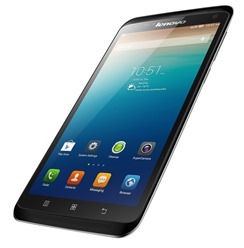 To complement the Vibe Z, Lenovo also launched a trio of smartphones, starting with the S930, a supersized 6-in device primed for media addicts, the S650, a 4.7-in compact and stylish workhorse, and the “tweener” A859, a 5-in high performance all-rounder. These four new devices complement Lenovo’s existing portfolio of phones ranging from feature phones to premium smartphones across multiple price points. Lenovo, currently the #3 smart connected device maker worldwide, has expanded aggressively into the global smartphone market, introducing smartphones in 18 countries in the past two years. As Lenovo’s first smartphone featuring LTE capabilities, the Vibe Z offers true mobile freedom with super-fast data upload at up to 50 Mbit/s1 and downloading at up to 150 Mbit/s1 to satisfy the most data hungry of individuals. The Vibe Z operates on GSM/UMTS networks up to 2100 and also comes with 802.11ac WiFi and Bluetooth 4.0. The svelte Vibe Z comes encased in a thin 7.9mm silver or titanium body weighing just 147 grams. Users will appreciate its laser-etched, fabric-feel rear cover that is comfortable to hold and its 5.5-in full high definition (1920x1080) IPS wide angle viewing touchscreen display. Images appear pin sharp leveraging the Vibe Z’s 20/20 Vision display with a pixel density of 400 pixels per inch. While beautiful on the outside, the Vibe Z packs in superior performance technologies inside starting with its Qualcomm Snapdragon™ 800 Quad-core 2.2GHz processor to deliver extreme performance for watching movies, capturing and editing photos, multitasking among apps, playing games and video chatting. Loaded with 2 GB of memory, up to 16 GB of internal storage and running Android 4.3, the Vibe Z offers plenty of space for thousands of favorite photos dozens of videos. With its custom imaging software and high resolution cameras, the Vibe Z surpasses the shutterbug features of other smartphones. It has a 13 MP rear camera with a large f1.8 aperture lens to defy low light situations and capture breathtaking photos and a 5 MP front camera that’s equipped with an 84° lens for wide-angle shots. Lenovo’s Super Camera and Super Gallery apps let users add fun effects to their photos easily. Additionally Vibe Z offers Lenovo-specific software supporting motion and gestures for better one-handed usage on large screen devices. The S930 perfectly satisfies the most voracious of media mavens with its high definition and audio enhanced movie and gaming experience while the S650 offers a powerful pocket-sized media device. Both smartphones adopt the Vibe Z’s silver body and laser-etched fabric-feel rear cover, the S930 supersizes the available screen real estate with its 6-in high definition 1280x720 touchscreen while the S650 sports a compact 4.7-in gHD 960x540 display with IPS wide angle viewing. The S930 provides an immersive and rich audio experience with its twin speakers and Dolby® Digital Plus and even has directional sensors to move characters in 3D. Powered by a MediaTek Quad Core processor and running Android 4.2 at just 8.7mm thin, both the S930 and S650 smartphones have valuable technologies to help users get the most out of their device including a dual SIM card allowing for two numbers in one device. They come with an 8 MP rear camera with flash, a capable front camera, Lenovo’s Super Camera and Super Gallery apps to add effects to photos and 8 GB of storage. Both smartphones include gesture-based controls and the latest Lenovo launcher customizations. Designed for great all around performance, the A859 smartphone combines several in-demand features for a rewarding experience. Available in white or black, it measures 9.2mm thin with a 5-in high definition (1280x720) IPS screen with 178° wide angle viewing. Like the S Series, it has a dual SIM card, runs on a MediaTek 6582 processor and Android 4.2, has an 8 MP rear camera, a front camera and 8 GB of storage. The Vibe Z starts at $549 and is available starting in February in Indonesia, Malaysia, Thailand, Saudi Arabia, United Arab Emirates and the Philippines. The S930 and S650 start at $319 and $229, respectively. 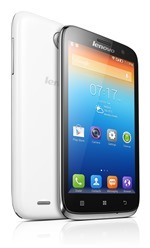 They are available beginning immediately in countries where Lenovo smartphones are sold. The A859 starts at $219 and is available starting immediately in countries where Lenovo smartphones are sold.